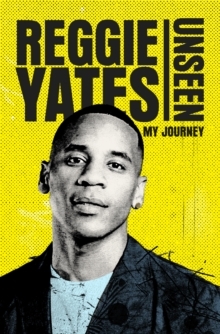 From Grange Hill to Top of the Pops, Reggie Yates has been on camera nearly all of his life, but it's as a documentary filmmaker - and a pretty fearless one at that - where he has truly been making his mark, investigating everything from gun crime in Chicago, to life as a refugee in Iraq. 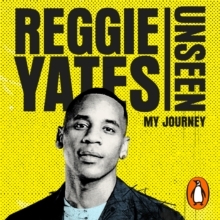 In his first book, Unseen, Reggie takes us behind the scenes on his journey from TV host to documentary storyteller. Using some of the key moments and extreme circumstances he has found himself in, Reggie examines what he has learned about the world, and himself as a person. Beginning as a brief exploration of Reggie's relationship with the camera and life growing up on screen, Unseen explores the journey Reggie has taken in the documentary world. Initially resistant to documentary making, Reggie was convinced his point of view as a young black working class man with a history in music, children's TV and entertainment would not make his films remotely credible. Through conflict and challenges on screen, the understanding gained from the very thing once seen as a weakness would become his strength on camera, as the eye of the everyman and voice of the audience. Unseen unpicks the stories behind the fascinating characters and situations Reggie encounters across a series of films, as well as chronicling the personal growth through each testing shoot for Yates himself.